The first weekend of DBS Marina Regatta 2015 finished on a high and it was carried along into the second weekend of DBS Marina Regatta 2015 on the 6th and 7th June. Most of the shore activities at The Promontory @ Marina Bay continued into the second weekend of DBS Marina Regatta 2015. 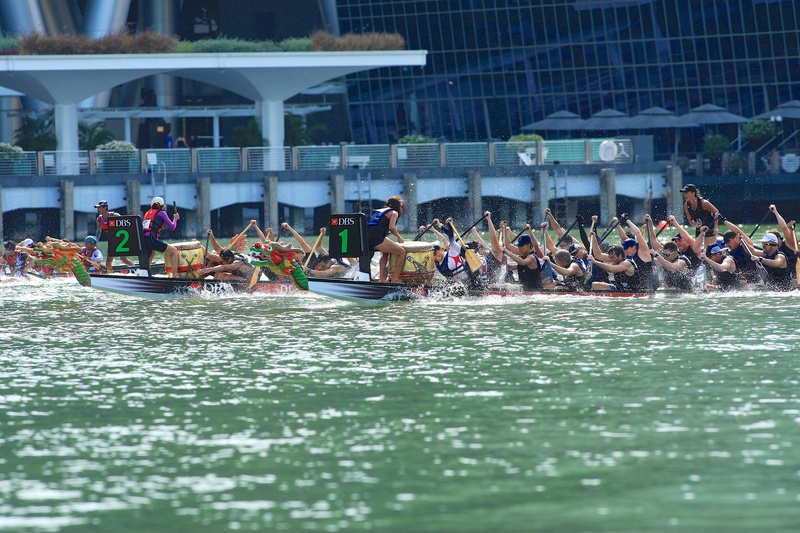 On the waters of Marina Bay, it was the water sports weekend – the Best of Southeast Asia Sports with DBS Marina Regatta and SEA Games Traditional Boat (Dragon Boat) Races action on the 6th and 7th June 2015. 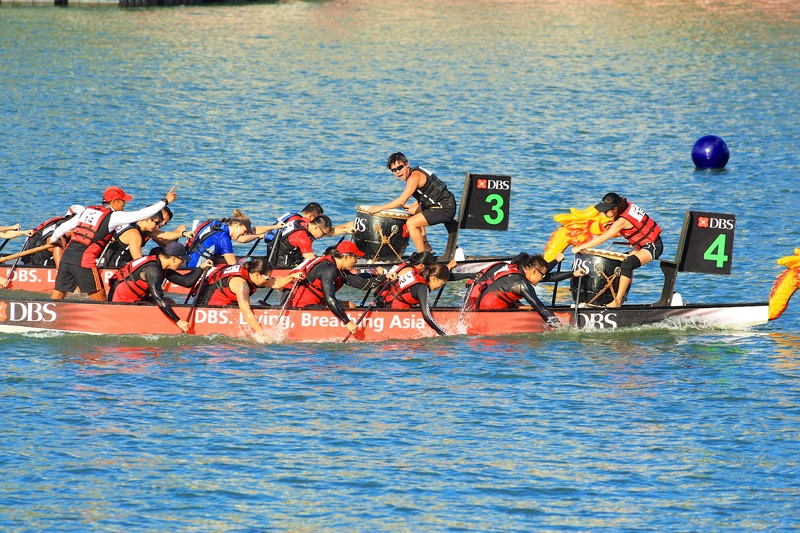 With the addition of SEA Games Traditional Boat Races at the DBS Marina Regatta, there were less races compared to the first weekend of DBS Marina Regatta 2015. Lesser races doesn’t mean it was less exciting, instead, it was a great spectacle for the spectators sitting around the Marina Bay area watching and supporting the Dragon Boat Paddlers in action. 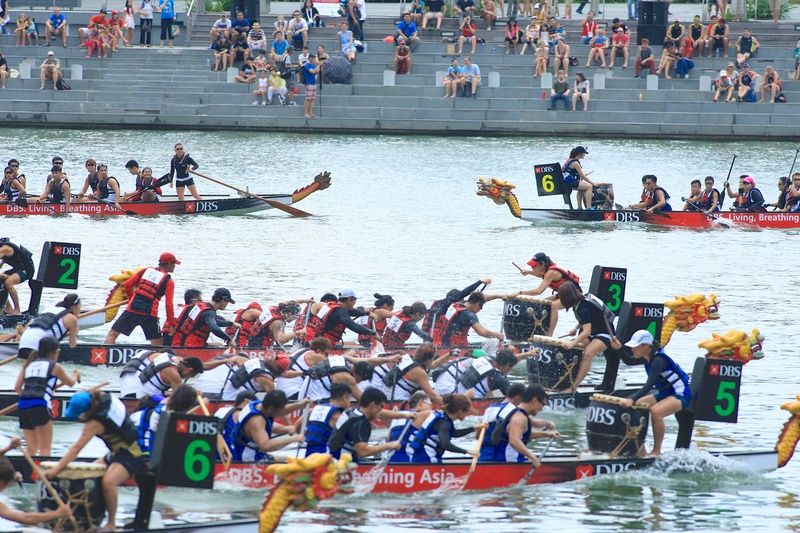 During the SEA Games Traditional Boat Races, the supporters came out in force to cheer for their fellow country people participating and competing in the Dragon Boat racing. They were vocal and expressive and some were colourful in their attire (donning national colours)! I can hear the spectators and supporters cheering from across the waters, near the Marina Bay City Gallery and Marina Bay Sands when I was photographing the Dragon Boat paddlers from The Promontory @ Marina Bay! I rotated around various locations and sometimes stationed myself at the opposite side from The Promontory @ Marina Bay, the steps/seats between Marina Bay Sands and Marina Bay City Gallery, sitting as close to the waters of Marina Bay. 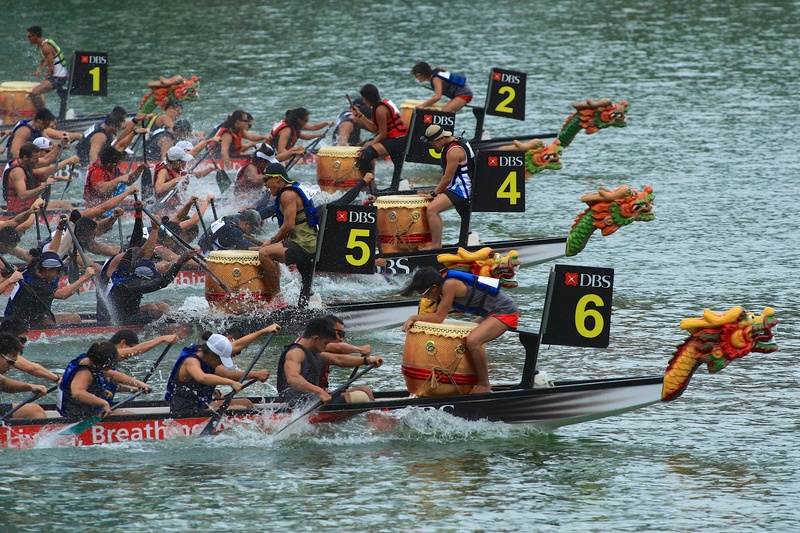 With my Canon EF 300mm f/2.8 lens, I focus and seek out to find the DBS Marina Regatta paddlers and also the SEA Games paddlers at the pontoon/jetty, the embarkation and disembarkation point for the Dragon Boats. The emotions and facial expressions of the SEA Games paddlers were priceless and I was happy that I photographed my Team Singapore paddlers out there on the waters of Marina Bay, a small contribution of my photographs to Team Singapore in action at SEA Games 2015! On Sunday 7th June 2015 morning, the weather wasn’t good and I was hoping (and everybody else there too!) that it doesn’t affect the entire Sunday’s race schedule for both DBS Marina Regatta and SEA Games events. The weather slowly changed for the better towards the afternoon and by the late afternoon, the weather around Marina Bay was beautiful with blue sky and white clouds! 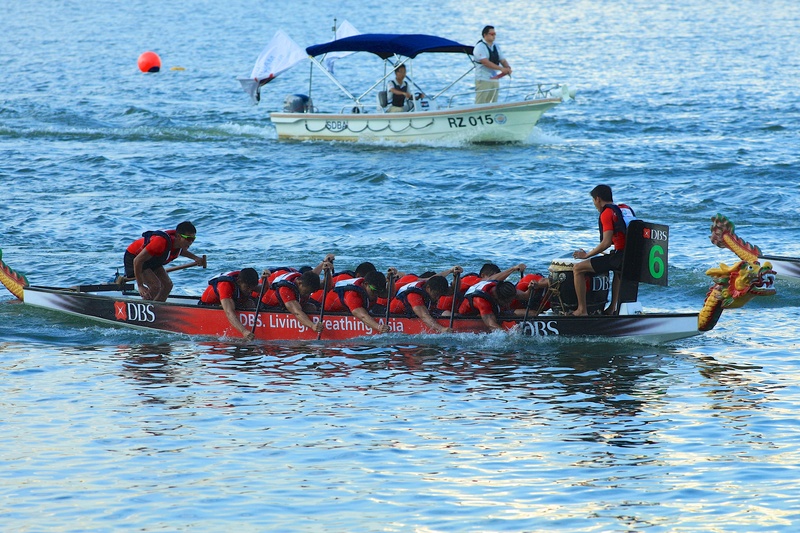 The Best of Southeast Asia Sports on 6th and 7th June 2015 – DBS Marina Regatta 2015 and SEA Games 2015 Traditional Boat Races were brought to a close with a spectacular grand finale. It had been two exciting weekends for me, covering, photographing and sharing DBS Marina Regatta 2015 and also covering the SEA Games 2015 Traditional Boat Races! Igniting Possibilities, Igniting The Bay for everyone, the paddlers, the people behind the scenes, the supporters. 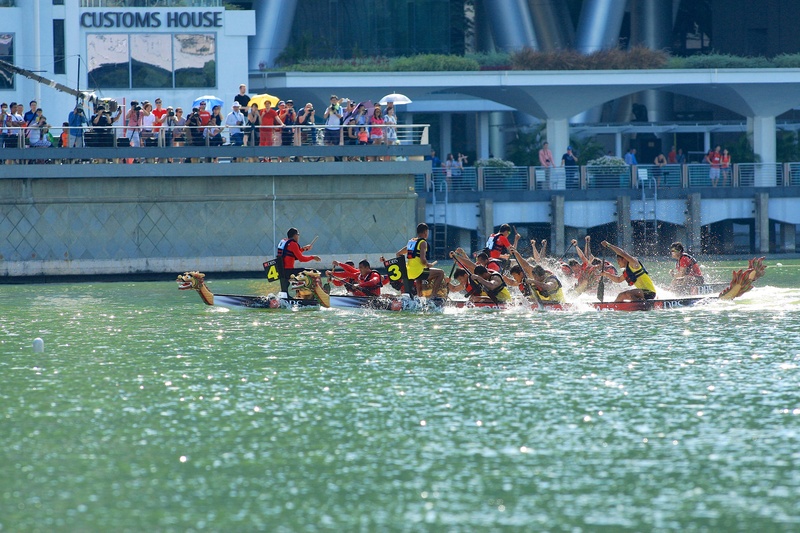 The 2015 edition is the biggest DBS Marina Regatta till date and the second weekend of 6th and 7th June, comprising of both the DBS Marina Regatta 2015 and SEA Games 2015 Traditional Boat Races ignites the Marina Bay, celebrating the win, the happiness, friendships, community and sea sports extravaganza in the heart of Marina Bay!